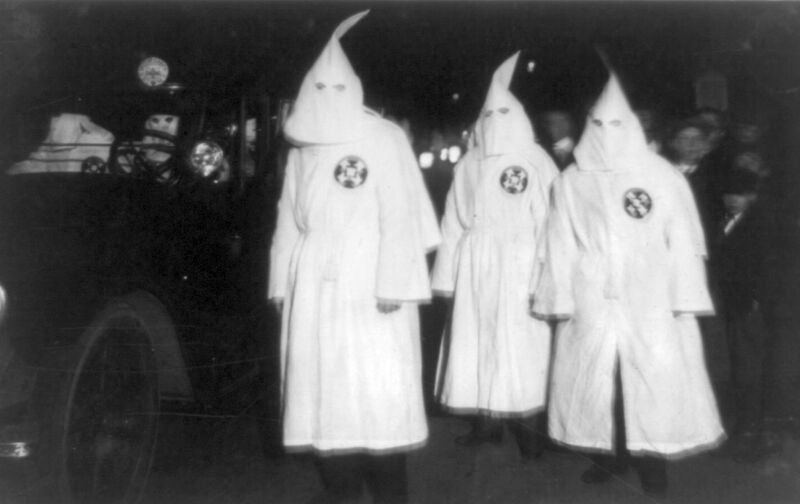 On this day in 1865, Confederate veterans joined together to form a secret society called the Ku Klux Klan, convened to terrorize former slaves and white Southern Unionists. As their campaign of kidnappings, murders and lynchings escalated throughout Reconstruction, bills were proposed to suppress the threat. The Nation, to its shame, had turned against Reconstruction by this time, believing that the governments formed in the South under universal male suffrage were corrupt and that federal meddling in Southern affairs had only compounded racial and sectional strife. In this editorial from March of 1871, “The Problem at the South,” the editors argued that though the federal government had a role in protecting constitutional rights of whites and blacks alike, suppressing the KKK was strictly an intra-Southern problem. The article is a shameful entry in the magazine’s history. There is no doubt about the multiplicity and atrocity of the outrages committed by what are called the Ku-klux on the negroes and Unionists at the South. It appears to be equally certain that the persons who commit these outrages are not brought to justice. The sheriffs do not arrest them, or, if they do, juries do not convict them—in other words, through a great part of the South there is no security for either life or property…. Is there, then, no remedy for local disorder at the South? If the State government does not protect a man, can he look nowhere else for redress? We answer, that if there be any value whatever in the theory on which American polity is based, the remedy of Southern disorders must come from the Southern people, through their experience of the folly and suffering of disorder. If this be not true, the whole American system is a mistake, and is destined ere long to perish. Our business is now to leave every Southern State to its own people, first, because this is the only practicable course, and, secondly, because it is the only wise one. If they are so demoralized that they go on robbing, and murdering, and “Kukluxing” each other, we cannot interfere effectively, and had better not interfere at all. The American punishments for a State which permits these things are two—impoverishment and emigration. If a man cannot have freedom, security, and light taxation in New York, let him go to Virginia; if he cannot have them in either, let him go to Missouri. Those who stay behind, on seeing capital and population steadily leaving their State, and their property declining in value, will gradually mend their ways. This may be a slow remedy, but it is a sure one. It goes to the root of the disorder, while under coercion from the outside no state of things can grow up, or ever has grown up, in which coercion ceases to be necessary. Of course there is nothing in this theory to prevent the United States enforcing the Federal Constitution and laws. This ought to be done, at whatever cost—that is, by officers, and not by bill and resolution. If it be true that black men are kept from the polls by intimidation, we ought to see that going to the polls is made as safe as going to church; but to pass bills providing for this, without voting the men or the money to execute them, is a wretched mockery, of which the country and the blacks have had enough.